Neither time nor circumstance had afforded the opportunity to return to woodworking and design both of which Craig had studied in school. 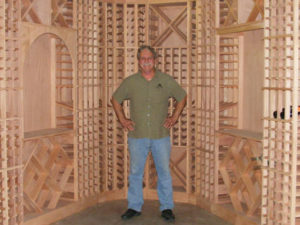 Marriage to Vickie Mussett served as a catalyst to Craig's desire to devote more time to woodworking. It is the disciplined quality of thought necessary for precision metal work which Craig brings to his own work. The opportunity to be involved in the design of the pieces he makes unfold at the same time. It has been said that "Nothing is as powerful as the right idea whose time has come". This is apparently true, as may be judged from the quality of the pieces produced by Lawrence Furniture Company Inc. Custom work brings the most satisfaction, both to client and craftsman. The unique creations of this artisan stand on their own merits. Quality of thought and execution result in pieces of furniture built for the ages...They will stand the test of time.